a few of you expressed some concern about the new beta version of swype that was released yesterday as it appeared that it was missing the “edit” keyboard. well a few of our amazing readers would like to point out that it’s still definitely there! 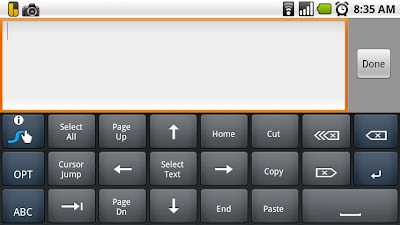 in fact all you need to do is make a swype from the swype info key over to the “SYM” key and it pops up! on a side note, are many of you still having issues installing? try again today as i’m sure they were getting crushed yesterday with massive amounts of users wanting this. huge thanks to everyone that sent his in! want email notification when android 2.1 is released?